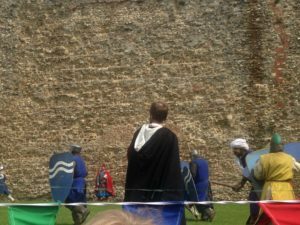 Last bank holiday Monday saw me and a group of friends head to Framlingham Castle for the annual Clash Of Knights event. 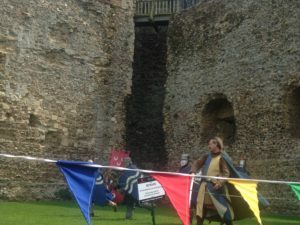 Always hosting brilliant bank holiday festivities, Framlingham Castle’s live action role players dress up in real armour, ready to fight it out to find the overall winners of the melee battle. All betting on different colours, our group mainly backed the green army (it was interesting that this was the week before the general election! ), after seeing an impressive performance from the archers. 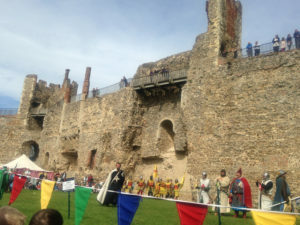 For kids, watching the armies fire bows and arrows at the opposing teams shields, and then being able to explore the castle grounds filled with encampments, must be a fabulous day out. 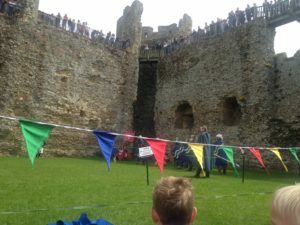 The medieval castle will take anyone back in time to an era when knights would entertain the court with their honourable and impressive battle skills. Unfortunately our green knights didn’t win the melee, their underhand tactics not working in their favour when it came to a draw at the end of the day. 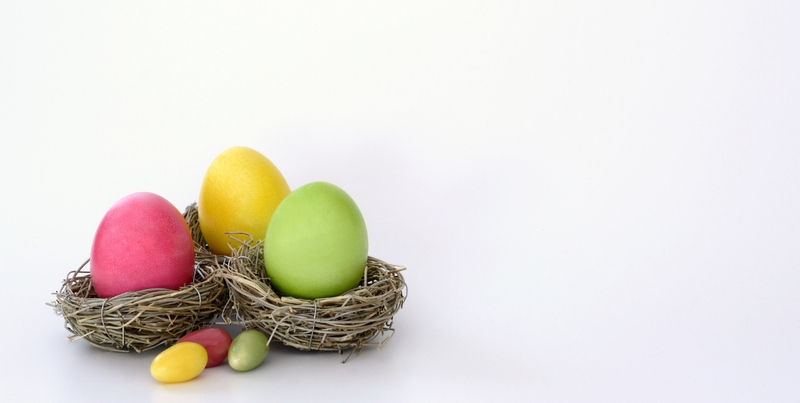 However, we still had a whale of a time, and might even go back for more when the Bloody Mary event occurs at the next May Bank Holiday. We had a great time at #framlingham #castle #clashofknights!